Listening to Miles Davis – It seems simple enough, but Miles is not a simple musician! The above quote rings especially true when the topic is Miles Davis. His playing spans a range of styles – bebop, fusion, electric, pop… He was on the leading edge of so many styles, it’s impossible to fully represent his playing in just a one-hour sample playlist. But even across all those styles there are two features to me that make Miles instantly recognizable – his tone, and the way he uses space in his playing. Miles paid great attention to his tone (as do all good musicians). But his goal was not a warm, clear, trumpet sound anything like what you heard on the listening playlist of Maurice Andre. When listening to Miles Davis, you’ll notice that he used little to no vibrato. The addition of his often-used harmon mute added another layer of what I call ‘coldness’ to his trumpet sound. Some musicians will play long, beautiful, legato phrases, whereas Miles tends to leave lots of non-playing space between his notes and phrases. You could say his playing style and phrasing sometimes emphasized not so much what you hear, but what you’re not hearing. If you don’t know Miles Davis’ music, this list is a good introduction to the various styles that he played. It’s just over 1 hour, so feel free to set it up as background music. Alternatively, this is the kind of music that the closer you listen, the more you’ll hear. So feel free to take that deep dive into this music. You’ll enjoy some songs more than others. In any case, try to listen for the tone, style, and creativity that can help you recognize Miles’ sound. And if you simply have very little time at the end of this busy summer and are looking for a shortcut, I hope you’ll listen to My Funny Valentine, Round Midnight, and Human Nature (yes, he covered Michael Jackson). But be warned, listening to Miles Davis is like eating potato chips – you can’t stop after just one! Use the comment box below to share your thoughts and which recordings impacted you. 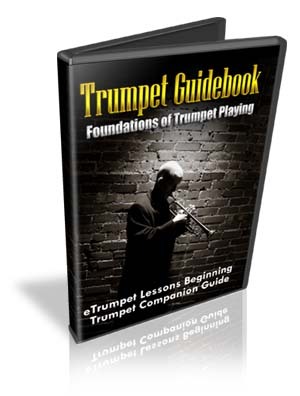 And to be sure to receive future playlists and updates you’ll want to subscribe to the eTrumpet Lessons YouTube Channel. Finally, I use these trumpet listening playlists with my trumpet students. Visit the eTrumpetLessons Live Academy page to learn more about that private study program. trumpet and singing voice ? Chet Baker has a style very different from Miles, and I’ll feature him in a playlist highlight in the future. ‘Almost Blue’ is one of my favorites when he plays trumpet. His singing is fine, I’m just prefer his playing. jazz, so I have also many of Miles’ Disc’s, ” Kind of Blue ”, the best ! etc. That is really someting to remember in rainy ( old ) days. is some progress anyway. Trumpet is wery interesting horn to play for fun,still.